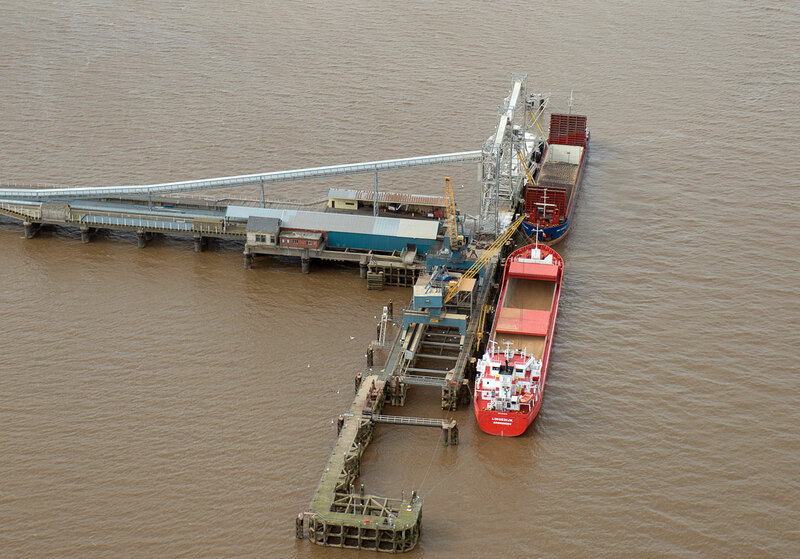 On the south bank of the River Humber around 30 minutes sailing time past the port of Immingham lies the larger of New Holland Bulk Services dry bulk terminals, the terminal is capable of loading and unloading coaster vessel sizes of up to 5500 tonnes, normally achieved within a single day making it a favoured destination for ship owners requiring a quick turnaround. 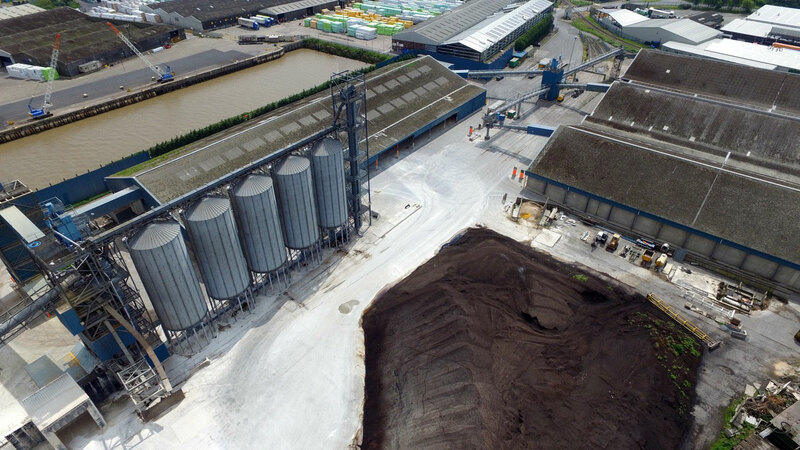 New Holland Bulk Services Ltd (NHBS) is a privately owned company, starting operation at this location in 1983. 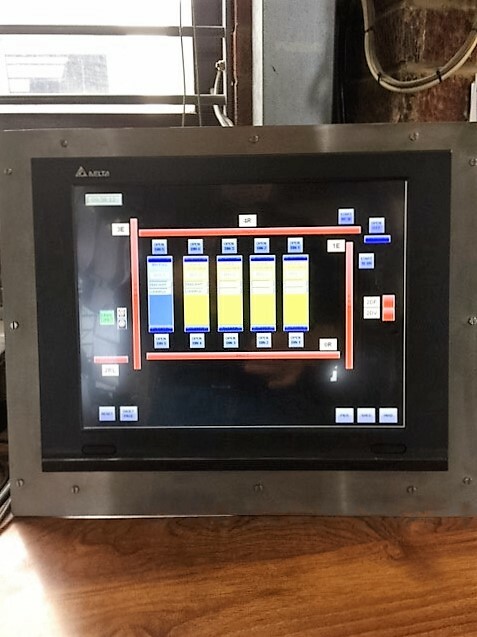 In late July of this year (2016) we received a phone call from the site terminal manager Mr Rob Grimbleby seeking assistance for some support for very old Sprecher & Schuh units for critical plant control for the bulk handling system. The existing Sprecher units were becoming increasingly difficult to support as some of the I/O modules have been out of production for over 12 years, the more specialised modules for remote I/O over fibre optic link. Between us we had to make a quick decision over replacement parts should they be available or a completely new PLC system. Between our technical / software specialist Chris Hill and Rob Grimbleby (NHBS) we decided it would be best since the plant is so critical to the terminal to completely upgrade the whole system. 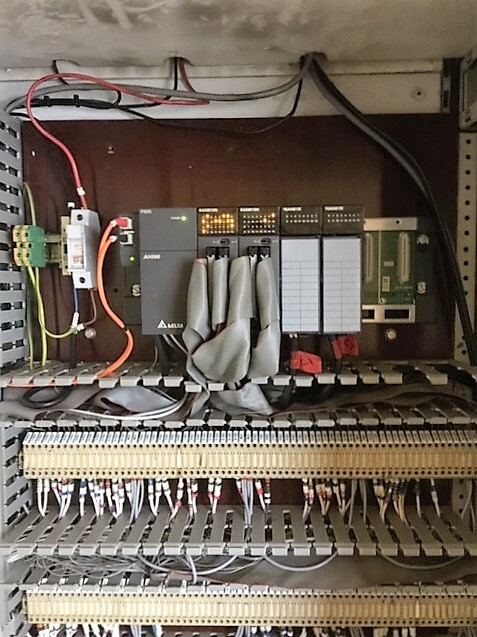 The existing rack PLC system, was controlled by a PC based SCADA system, since we were looking at replacing the whole of the rack PLC system and the remote I/O we decided to look at updating the PC based system as well for the SCADA. 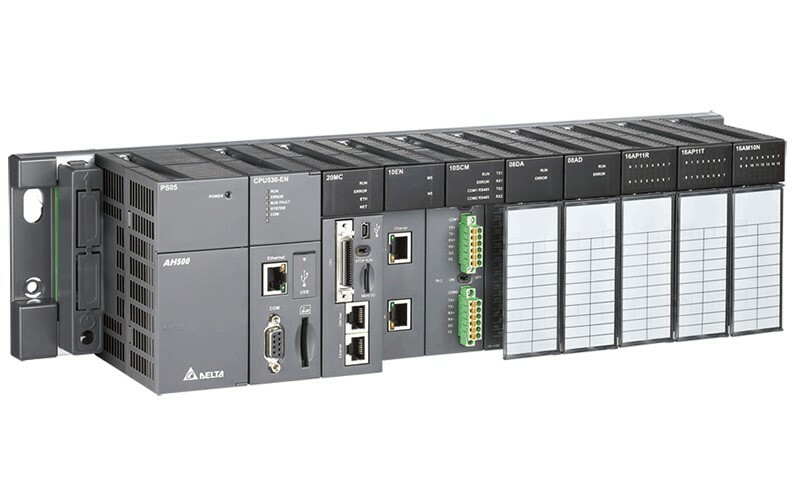 Delta released in late Autumn 2015 the new AH500 series PLC, after discussions with Rob (NHBS) and Chris (Softstart) and a complete identification of I/O modules to replace the old system. The CPU521-EN is used which is newly released (June 2016) Delta high powered CPU with Ethernet, 384K steps, 32GB memory card with a LD instruction time of only 0.02µs. 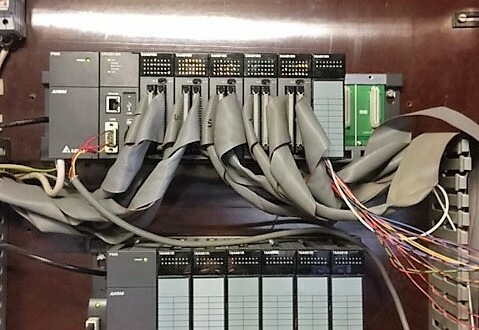 The other 3 remote I/O stations are all then connected using the fibre optic link modules to the master PLC. Whilst everything was ordered in because we opted to use the new CPU module, we sent Rob a CPU and programming cable and he began re-writing the old programme with some assistance from Chris Hill. We also sent over the new DOP-W157B 15.7” HD HMI based on Windows CE NHBS is using both the Ethernet port and the serial port, on the new screens. 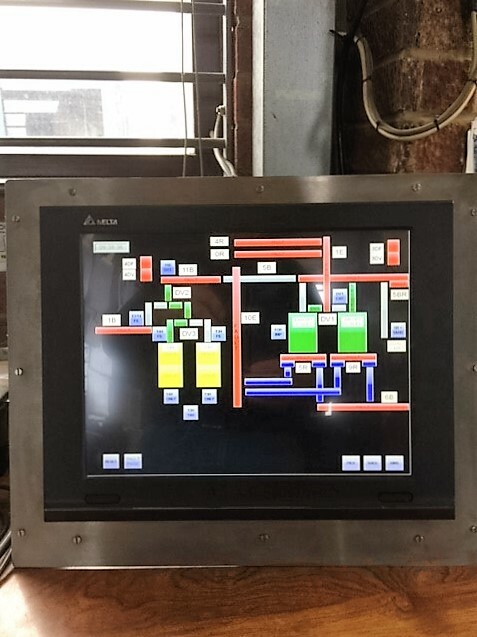 The whole project had to be installed and up and running as soon as possible in order to minimise down time for the critical plant, so the minute the switched the old system off they had hours to get the new system in and up and running. Our business development manager for the area, Steve Hallas was also on hand to assist during the development making a couple of days visiting site to assist. 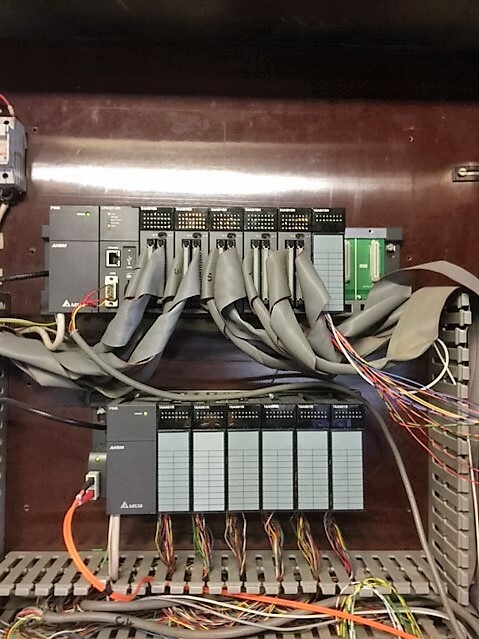 During the shutdown period, Rob and his team removed all the old Sprecher system and installed the new Delta AH500 system in the various locations along with the replacement wiring and testing for all the fibre optic connections. 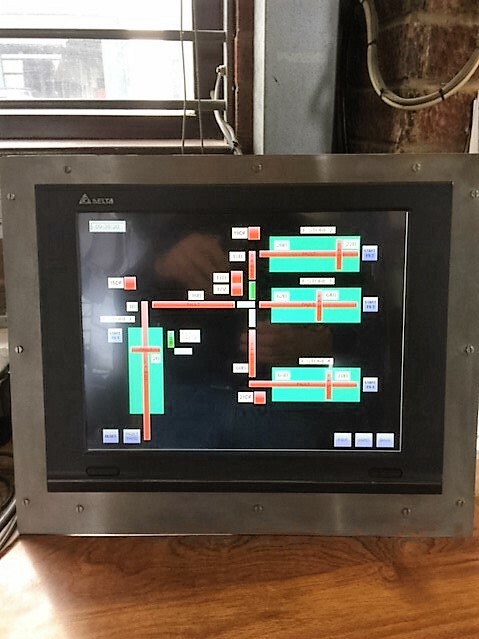 Pictured below is the main PLC with CPU installed in old Sprecher position. 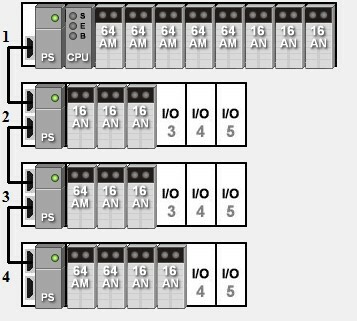 remote I/O panel in location 2 and remote I/O in location 3. Below that is some of the screen shots transferring from the old SCADA PC system to the new Delta HMI System, the Delta HMI is capable of much higher resolution graphics and plant symbol development, but in this case for time and ease of use it was decided to keep it simple for the plant process operators using the same system information supported previously. Test screen shots for the New HMI’s. 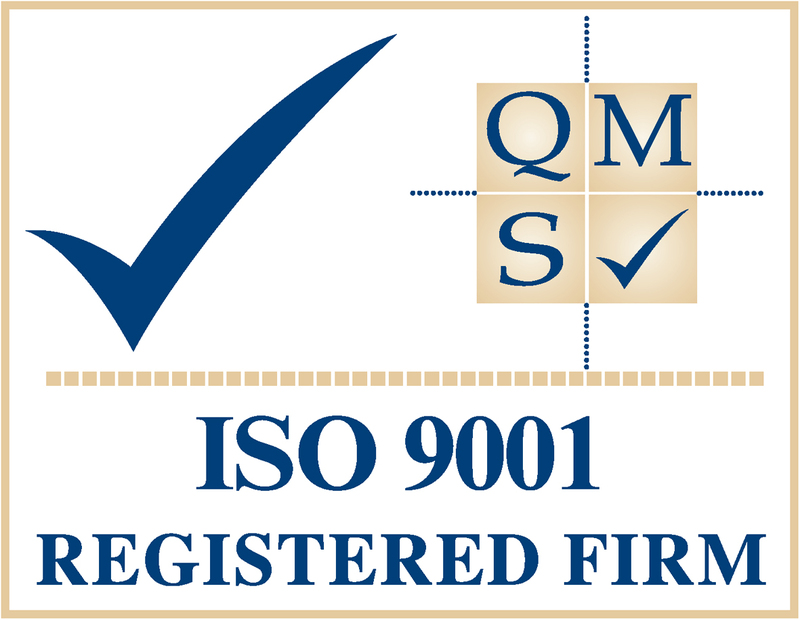 The key thing about the whole changeover process for the complete system, is Rob from (NHBS) had to learn the Delta PLC programming system / methodology for both the PLC’s and then the HMI having not experienced our software before, during the whole process he was very impressed with the ease of use of the Delta equipment, ISP-Soft software (which is free) for programming the PLC’s and the DOPSoft for the HMI’s (also free) and greatly appreciates the after sales support. From order to delivery even for the brand new CPU model, having mapped out the system I/O requirement it only took three days to deliver the whole system. 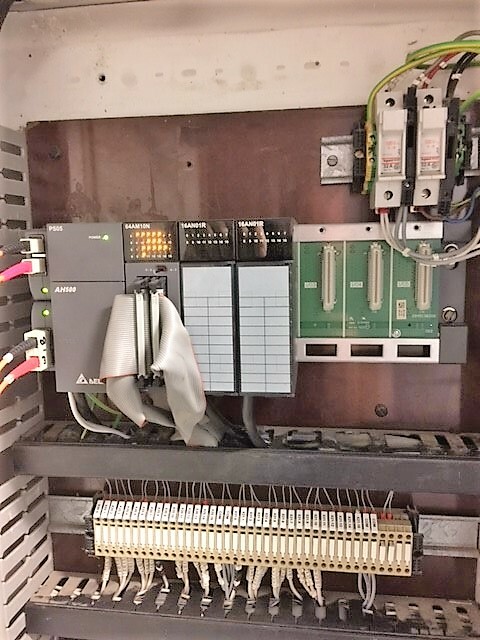 Within a week from raising an order and taking delivery, Rob was testing the converted programme and within 7 days from the delivery was making the complete changeover, including very impressively installing and termination over 600 metres of fibre optic cable, not bad for a system with 448 inputs and 80 outputs.